The NAA organised a two-day Award Leaders training workshop at Award Training Centre, New Delhi, on 23rd and 24th January 2014. Participating in the workshop were nine 9 delegates from Yadavindra Public School, Mohali; Scindia Kanya Vidyalaya, Gwalior; Adventure 1 Zone, Mumbai; Delhi Public School, Saket, New Delhi; Indirapuram Public School, Ghaziabad; National Award Authority and NAZ Foundation. National Director Kapil Bhalla conducted the initial session with an introduction to the Award, highlighting aspects relating to About, Doing, Delivering and Supporting the Award. He also emphasized the role and importance of the Award Leaders in delivering the Award. Bivujit Mukhoty (Programme Manager) started the next session with the 'Ice Breaking' exercise in which participants introduced themselves and shared their expectations from the training workshop. This icebreaker helped the participants to know each other and get an idea of their background and to learn from the diversity.The session was followed by the Philosophy of the Award and the Award Framework which was explained by the Programme Manager with the help of detailed presentations. These presentations helped the delegates to understand the essence and ethos of the Award. Next, Kapil Bhalla took a session on the Service Section, in which participants were encouraged to brainstorm for different possible service activities respective to their interest and areas. The participants designed several interesting activities and demonstrated a brief plan of action for perform them. The Skills section was another session which all the participants enjoyed. Mentored by Bivujit Mukhoty, the participants performed individual skills to demonstrate their area of interest. Next, Bivujit Mukhoty described the challenges that Award aspirants face during their Award Journey and how to resolve them. The last session for the day was Physical Recreation. Kapil Bhalla led the session and organised a group activity for the participants which they enjoyed a lot. Mr Bhalla explained the need of the Physical Recreation in an individual's life and its importance in the Award. The next day the workshop started with the Adventurous Journey. Bivujit Mukhoty explained the key features of the section. This was followed by a session on Risk Management. The Programme Manager explained the different risks and measures to reduce them. The session was followed by a session on Residential Projects. There were sessions on Branding Guidelines, Volunteering and Benefits of the Award. 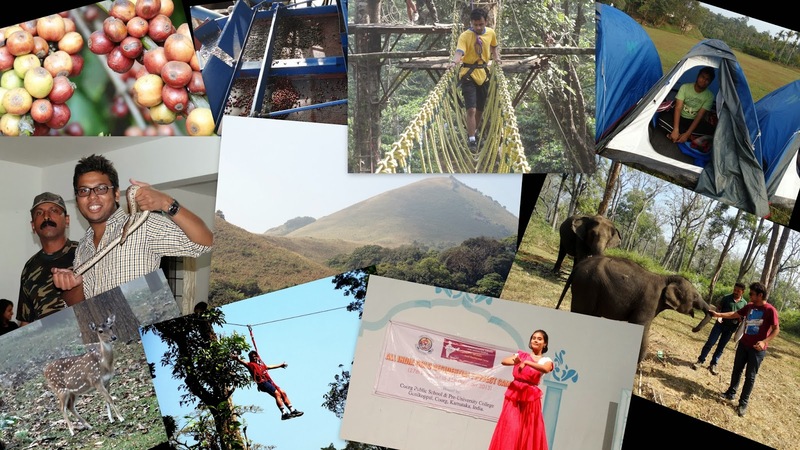 An Adventurous Journey Camp was conducted at the Matha Hills, Purulia, West Bengal from 13-16th January 2014 for the socially and economically marginalized youth. The camp was attended by 43 Award participants including 5 Gold, 14 Silver and 24 Bronze aspirants from All Bengal Women's Union Home, Kolkata; Emmanuel Ministries, Kolkata and Sri Sarada Math, Kolkata. The camp was organised and executed by National Award Authority under the supervision of Bivujit Mukhoty (Programme Manager) with the support of the instructors from The Institute of Climbers and Nature lovers (ICNL). Md. Manjur, a Gold holder from Emmanuel Ministries also very kindly volunteered during the camp. On 13th January the camp started with a briefing session by the instructors about the camp. The participants then marched for a short trek through the Matha forest to the footsteps of Matha hills. The post lunch session began with a practical class on equipment used in mountaineering and knot making. The next session was on tent pitching. Pitching a tent is an integral part of camp life. The campers learnt how to pitch a tent as well as the names and shapes of different tents and where to pitch. They also learnt tent manners and etiquette! In the evening session, the instructor conducted a session on Camping and its impact on a camper's social life. This was followed by a session on Mountain ethics and objectives. The participants got their views and queries clarified by Mr. Mukhoty. Early the next morning, all the participants took part in a session on physical exercise. This was followed by a session where participants got basic information about climbing. The team gathered at different rock faces for rock climbing basics. Under the able guidance of ICNL instructors, the participants learnt different features of the rock faces and the techniques of basic rock climbing with and without ropes. The students climbed different types of rocks successfully. After the rock climbing session Mr. Mukhoty took a session on nature study on the way back to the camp. He described the features and the topography of the Matha Forest including the flora and fauna. The post lunch session started at 2.30 pm. when the team moved for a practical session on making different types of rope bridges like Single Rope Bridge and Burma Bridge - suited to various situations for crossing rivers and gorges. They crossed a tiny stream after making a rope bridge independently. The evening session started with a theoretical class on Mountain manners / hazards and its remedies. The participants learnt how to observe and enjoy the beauty of Mother Nature without harming the environment. The ICNL instructors took a session on planning an expedition. That was a vital class for all the campers. The participants learnt how to make a plan, how to budget an expedition, how to select the team, how to get logistic supports, what to take, what to avoid etc. This interactive session was enjoyed thoroughly by the participants. On 15th morning after attending the physical exercise session and breakfast the team trekked to reach a rock face located just under Math Hilltop, at an altitude of 1800 ft. The participants climbed up the 300 ft rock face with the help of west harness ropes, crabs, descender and crash helmets. The feeling of reaching the top was as though they were on the top of Everest! This was followed by a rappelling session, one of the most attractive and fun filled sessions and the participants were very excited. A practical class on river crossing (Tyrolean Traverse) and monkey crawling was designed for the participants. The participants participated wholeheartedly in the class, learned a lot and demonstrated the technique in front of all the instructors. There was a practical class on self cooking. Participants learnt how to make fire and how to cook without utensils if they were to survive in a jungle, stranded in the midst of forest or rocky hills. The evening session was the most awaited and enjoyable camp fire. The participants organised a colourful cultural programme. Participants performed recitation, song, mimicry, mime and dance. National Award Authority organised a two days Adventure Practice and Qualifying Journey for JCB sponsored Government Senior Secondary Schools of the rural areas of Haryana at Tikkling, Rocksport Campsite. Instructors from Institute of Climbers and Nature Lovers (ICNL) mentored the activities under the supervision of Bivujit Mukhoty (Programme Manager, APF). Not often does one get to experience the pristine beauty of nature closely. However, we were fortunate to have experienced it for five days as a part of our Gold -- All India Residential Camp. On the 27th of December, a group of thirty students, two from GD Goenka World School, Gurgaon; six from the University of Delhi, and twenty-two from Coorg Public School, Gonikoppal started our residential project in Coorg, Karnataka. We were backed by a very dedicated and competent staff from the Coorg Public School, led by Mrs. Teena Machaiah (Award Leader). Day one began with the orientation at the school itself, followed by a motivational speech by its Director Prof. M. D. Nanjunda. We then headed to a coffee estate owned by Tata Coffee Limited to enhance our knowledge of this popular beverage. The estate is the largest Arabica plantation in Coorg district. The elevation is in the vicinity of 3000 ft. above mean sea level. The annual production of Arabica ranges from 400-600 tonnes, complemented by about 100 tonnes of Robusta coffee, predominantly of the superior Congensis type, as told to us by the manager there. We saw how the coffees are selectively handpicked at the right stage and then undergo processing in the traditional way involving fermentation, aqua washing and sun drying. Maximum attention is paid during the post harvest operations to preserve the inherent quality. After having talked to workers of the lowest stratum, we realised the estate places considerable emphasis on the social upliftment of its work force. This aspect, along with its good agricultural practices, is evaluated periodically by external agencies. The second half of the day had another unique venture awaiting us. Mr. Satish, a well-known snake wrangler of Karnataka, organised a session for the campers on the Big Four venomous snakes of India namely, Indian Cobra, King Cobra, Russel's Viper and Saw Scaled Viper. We not only got to study them closely but learnt about the common myths associated with them. This session took away all the fear from our minds, and helped prepare us for the following days to be spent in the jungle. On day two we left the school at the crack of dawn for Nagarhole National Park, Kodagu. We were guided by Mr. K.M Chinappa, a retired ranger from the same forest. He helped us connect with the Nagarhole Wildlife Conservation Education Project under which we learnt the local flora and fauna methodically. It was a moist deciduous forest with rosewood, teak, sandalwood and silver oak being the predominant tress. Forests are watersheds, and have economic, environmental and climate control benefits. We examined its critically changing behaviour which is adversely affecting the human population. We also experienced how poaching, timber smuggling, forest fires and human encroachment are aggravating the situation. In the evening we had an enlightening session on Human Wildlife Conflicts by Mr. Ballera Chengappa. Human-wildlife conflict refers to the interaction between wild animals and people and the resultant negative impact on people or their resources, or wild animals or their habitat. Human-wildlife and other conservation-related conflicts are serious obstacles to wildlife conservation efforts worldwide. The conflict is often as much a conflict between people about the wildlife, as it is a conflict between people and wildlife. Such conflicts are becoming more prevalent as human populations increase and diversify, development expands, resources shrink, the global climate changes, and other human, societal and environmental factors put people into greater potential for conflict with wildlife. We also discussed about the role of micro species in maintaining the ecological balance highlighting the projects run by the government. The third day we left our camps early in the morning to traverse through Brahmagiri hill, led by Mr. Bose. It is situated on the border between Kodagu district in Karnataka state in the north and Wayanad district of Kerala state in the south. Brahmagiri Hill, 1608 m high, is well forested and has a lot of wildlife. The area has mainly evergreen and semi-evergreen forest, and in the higher altitudes, there are grasslands with forest patches. Bamboos are well represented in these forests. The group started to trek early in the morning from the Irupu waterfall. Well, we skipped the visit to waterfall and started the trek right-away. We were already well versed with the do's and don'ts needed to be followed once inside the forest. The initial trail was a little steep and covered with fallen leaves, making it pretty slippery. Later it became much easier to walk. After a while, covered under the forest, the trail opened up to some magnificent views of the Western Ghats. On our way, we understood how the tigers establish their territories and came across the trails of elephants. We came across several water streams which makeup the Laxmantirtha River. After the water stream, the trail again opened up and we entered a land of breathtaking natural beauty. The trail further passed through a dilapidated and abandoned watch tower. We later went to the Nagarhole rest house which had been devastated by the elephants. On our way back we visited the Irupu waterfalls. That night we spent in the tents set up for us in the open. Sports and physical education are necessary components of human development, good health, and companionship and to have a spirit of friendly competition. This has a positive impact on the overall development of the personality. Brilliance in sports enhances a person's sense of achievement. Day four was the day of outdoor recreation which encompassed a few adventurous activities like Rope walking, Paddle walking, Zipping. True adventure lovers look for the opportunity to challenge themselves and learn from their experiences and we were no different. These activities were leisure pursuits in the natural settings away from the town in which we all were engaged with our individual efforts to win over the fear of crossing the ropes from one tree to the other at a considerable height. It proved to be a group effort when the new friends of Coorg Public School were around to cheer us while performing such risk-taking skills. Beneficial use was related to the physical and social rewards. It helped us to practice enhancing and challenging skills and test our stamina and endurance. On our fifth and the last day, we left our tents in the morning and started travelling back to our base camp at Coorg Public School. On our way back we crossed several tea estates and visited our last destination, the Thithimathi Mathigodu Elephant Camp. The camp had seventeen elephants which included eleven adults, three calves and three wild ones in captivity. We studied the elephant anatomy, diseases, care, training and breeding. It was intriguing to talk to the Mahouts who train the elephants and learn about the silent yet beautiful relationship of these majestic animals and men. The campers and the team leaders reached the base camp at midday and we had lunch together, accompanied by the principal of the school and the director. In the evening, the students of the school and we gathered around for a cultural night. This event was a cherry on the cake and gave a perfect ending to our residential project. We shared our experience and witnessed several performances by the school students and the campers. Like every good thing has an end, this camp ended too but with conviction we can say that we have gained an experience of a lifetime and what we have learnt will help us strive to become better individuals. National Award Authority in collaboration with IMF EZC organised an Adventure Camp for the specially abled youth at Matha Hills, Purulia District (West Bengal) from 15th to 19th December 2013. Indian Mountaineering Foundation (IMF) was setup in 1958 under the patronage of our first Prime Minister Pandit Jawaharlal Nehru, in Delhi, to encourage and regulate mountaineering and allied sports in the country. Today, IMF is the appex body, appointed by the Ministry of Youth Affairs & Sports, Government of India, for the promotion and regulation of mountaineering and related land based adventure activities in the country. A total of 41 participants from West Bengal, Jharkhand, Bihar and Odisha states participated in this camp. The target group was a mix of totally visually challenged, partially visually challenged, mentally challenged, orthopaedic challenged and hearing & speech impaired participants. 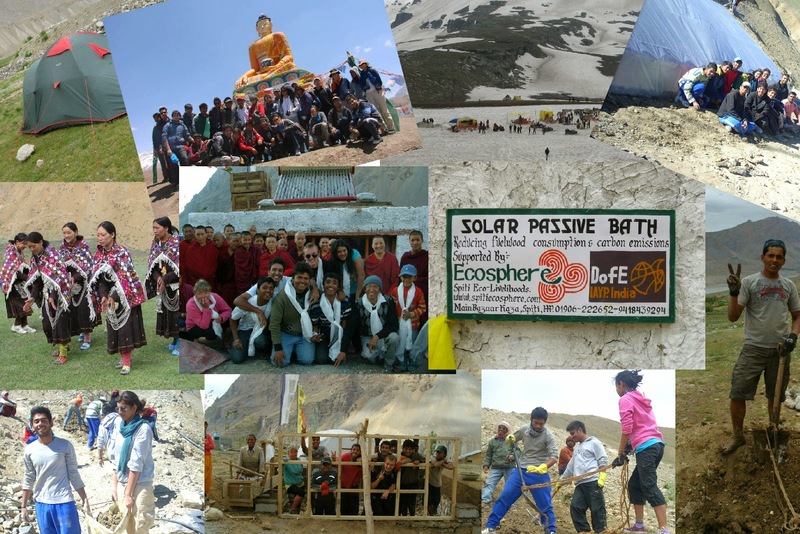 All the participants successfully completed their Adventurous Journey. Out of these 16 full visually challenged participants qualified their Gold Journey and the rest completed their Silver and Bronze level Adventurous Award Journey. Participants completed different camping activities like Rock Climbing, Rappelling, Rope fixing, Burma Bridge and Single Rope Bridge building, fixing Tyrolean Traverse (for River Crossing), survival training and cooking without utensils. They also participated in various Team Building Games.